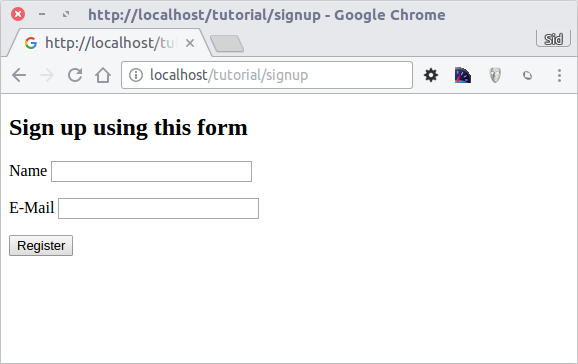 Throughout this tutorial, we’ll walk you through the creation of an application with a simple registration form from the ground up. The following guide is to provided to introduce you to Phalcon framework’s design aspects. 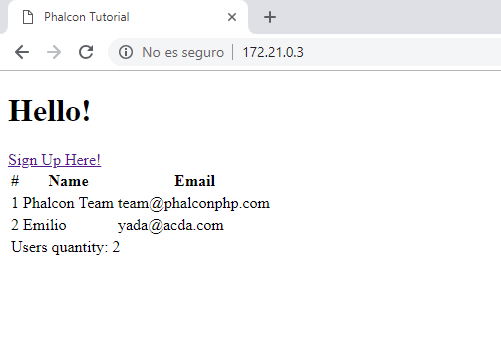 This tutorial covers the implementation of a simple MVC application, showing how fast and easy it can be done with Phalcon. 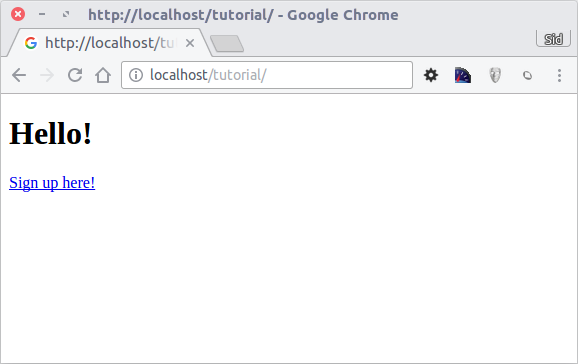 This tutorial will get you started and help create an application that you can extend to address many needs. The code in this tutorial can also be used as a playground to learn other Phalcon specific concepts and ideas. The best way to use this guide is to follow along and try to have fun. You can get the complete code here. If you get hung-up on something please visit us on Discord or in our Forum. 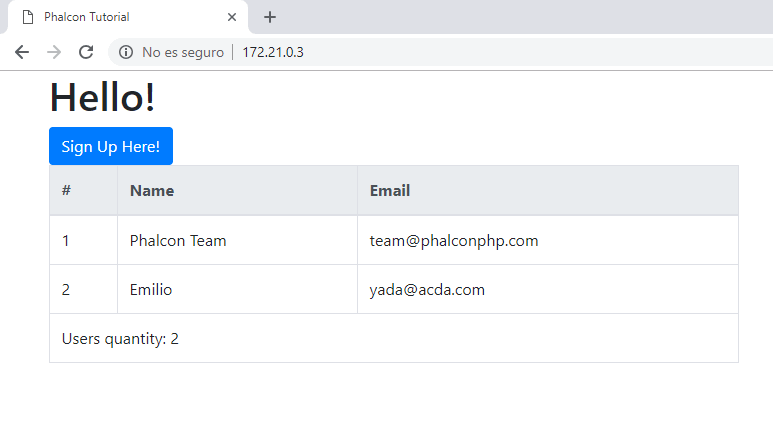 A key feature of Phalcon is it’s loosely coupled, you can build a Phalcon project with a directory structure that is convenient for your specific application. 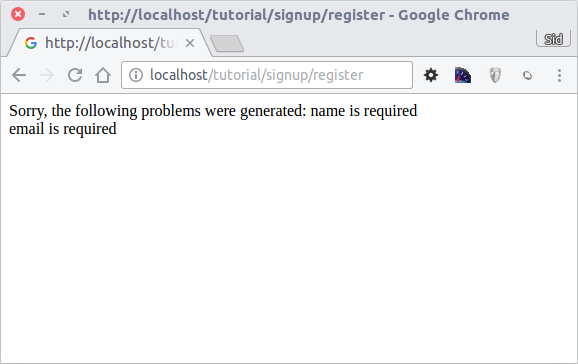 That said some uniformity is helpful when collaborating with others, so this tutorial will use a “Standard” structure where you should feel at home if you have worked with other MVC’s in the past. Note: You will not see a `vendor` directory as all of Phalcon's core dependencies are loaded into memory via the Phalcon extension you should have installed. If you missed that part have not installed the Phalcon extension [please go back](/3.4/en/installation) and finish the installation before continuing. If this is all brand new it is recommended that you install the Phalcon Devtools since it leverages PHP’s built-in server you to get your app running without having to configure a web server by adding this .htrouter to the root of your project. Otherwise if you want to use Nginx here are some additional setup here. Apache can also be used with these additional setup here. Finally, if you flavor is Cherokee use the setup here. 您需要创建的第一个文件是引导文件。 This file acts as the entry-point and configuration for your application. In this file, you can implement initialization of components as well as application behavior. Autoloaders leverage a PSR-4 compliant file loader running through the Phalcon. Common things that should be added to the autoloader are your controllers and models. You can register directories which will search for files within the application’s namespace. If you want to read about other ways that you can use autoloaders head here. To start, lets register our app’s controllers and models directories. Don’t forget to include the loader from Phalcon\Loader. Service Container: a “bag” where we globally store the services that our application needs to function. Each time the framework requires a component or service, it will ask the container using an agreed upon name for the service. Don’t forget to include Phalcon\Di with setting up the service container. If you are still interested in the details please see this article by [Martin Fowler](https://martinfowler.com/articles/injection.html). Also we have [a great tutorial](/3.4/en/di) covering many use cases. The Phalcon\Di\FactoryDefault is a variant of Phalcon\Di. To make things easier, it will automatically register most of the components that come with Phalcon. We recommend that you register your services manually but this has been included to help lower the barrier of entry when getting used to Dependency Management. Later, you can always specify once you become more comfortable with the concept. As you can see, the bootstrap file is very short and we do not need to include any additional files. Congratulations you are well on your to having created a flexible MVC application in less than 30 lines of code. Congratulations, you’re phlying with Phalcon! 浏览器输出应保持不变。 Phalcon\Mvc\View 静态组件操作执行结束时自动创建。 Learn more about views usage here. Now we will change the index.phtml view file, to add a link to a new controller named “signup”. The goal is to allow users to sign up within our application. 若要生成标记我们使用 Phalcon\Tag 类。 这是一个实用程序类，使我们能够构建与框架公约在头脑中的 HTML 标记。 As this class is also a service registered in the DI we use $this->tag to access it. A more detailed article regarding HTML generation can be found here. Phalcon\Tag also provides useful methods to build form elements. The Phalcon\Tag::form() method receives only one parameter for instance, a relative URI to a controller/action in the application. Phalcon brings the first ORM for PHP entirely written in C-language. Instead of increasing the complexity of development, it simplifies it. Now let’s see how to obtain and see the users that we have registered in the database. Now, in our view file views/index/index.phtml we will have access to the users found in the database. These will be available in the variable $users. This variable has the same name as the one we use in $this->view->users. As you can see our variables $users can be iterated and counted, this we will see in depth later on when viewing the models. To give a design touch to our first application we will add bootstrap and a small template that will be used in all views. As you can see, it’s easy to start building an application using Phalcon. The fact that Phalcon runs from an extension significantly reduces the footprint of projects as well as giving it a considerable performance boost. If you are ready to learn more check out the Rest Tutorial next.